Question: It is the beginning of a new year, I want to start saving for my child’s future, and I heard quite a bit about the ABLE Accounts. Is an ABLE a good account to begin saving in for my child’s future? Saving for your child’s future is a great step in helping him/her live a full life. An ABLE account is certainly one option that is available for you to use; however, it does have some drawbacks that you should be aware of before jumping in. Withdrawals can only be taken for Qualifying Disability Expenses and only for the benefit of your child. 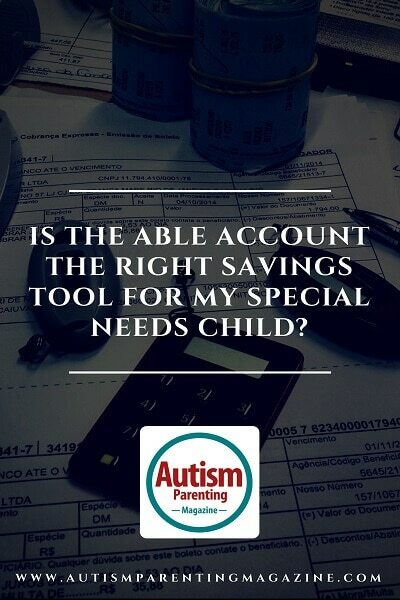 Although, an ABLE account may be a tool that you use for your child, it most likely will not be your first choice due to the drawbacks listed above. It is important to ensure flexibility when saving for your child’s future, and to understand that as you save, your entire family will continue to have financial needs. Once you place savings in an ABLE Account, that money can only be used for the benefit of your child, which means if you lose your job, or your roof needs to be replaced, you must have savings built up in other accounts to satisfy those needs. Communication of your plan. This type of planning involves your entire family, and others due to your child’s continued support needs even when you are gone, which means you must have a communication strategy to ensure those people know the plan.